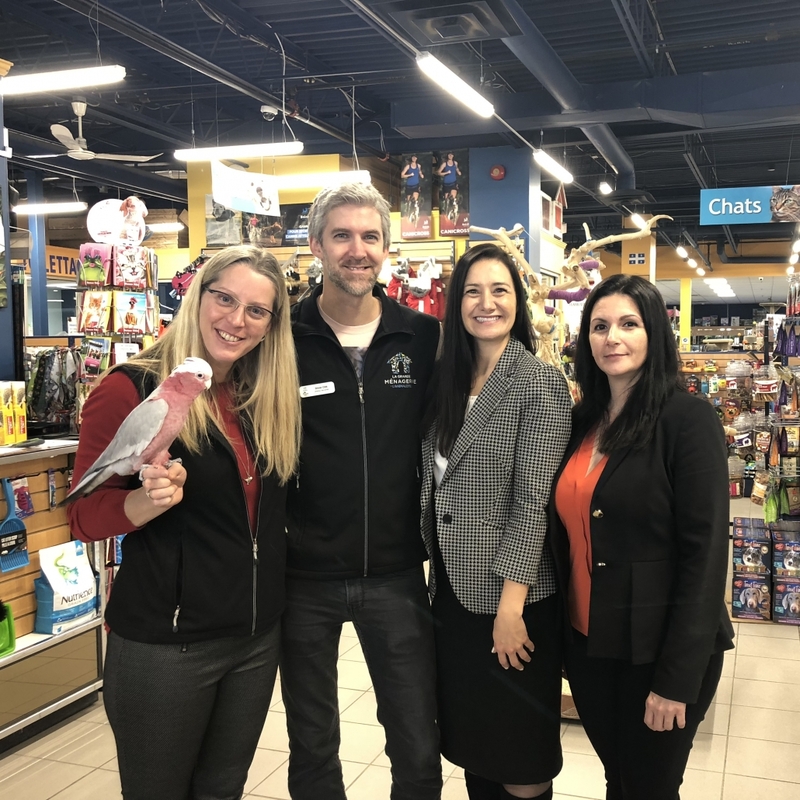 Stéphanie Renaud, Member Services Coordinator, and Stéphanie Girard, President & CEO visited La Grande Ménagerie back in December. 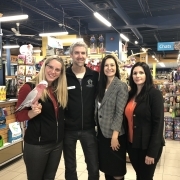 Located in Sherbrooke, QC, La Grande Ménagerie is a large specialized pet store of 20 000 square feet, owned and managed by the Côté family. Opened in 1977, La Grande Ménagerie has been serving the Sherbrooke community for more than 40 years. The family business was founded by Lise St-Pierre and her late husband Yvan Côté. Their children Sara et Olivier Côté grew up working at the store. Since the very beginning, La Grande Ménagerie has been dedicated to the welfare of animals. This is why they have wonderful staff trained in each department and treats all of their staff like ambassadors, members of the larger family. La Grande Ménagerie also uses Best Management Practices from PIJAC Canada which demonstrates their good health practices and their dedication to proper animal care. To add to La Grande Ménagerie’s commitment to animal welfare, Sara Côté is a part of PIJAC Canada’s Board of Directors! La Grande Ménagerie carries over 10,000 products for customer’s animal needs from freshwater and saltwater fish, reptiles, amphibians and snakes, rodents, lagomorphs (rabbits) and ferrets, exotic birds, cats, and dogs. In addition to offering products for all areas of pet ownership, La Grande Menagerie offers pet owners practical services such as home aquarium maintenance service, free bath for your dog, nail clipping service by appointment, boarding for all (except dogs), and canine classes offered in partnership with Division Canine. The store is truly a one stop shop for everything pet related. One of the most exciting parts of visiting La Grande Ménagerie is their mini zoo. They house many animals for visitors to discover and learn about because the store has been housing mascots for more than 40 years. Large land tortoises, a Scarlet Macaw, Galah Cockatoo, Australian Parakeets and a Ripsaw Catfish, all between 15 and 40 years of age. 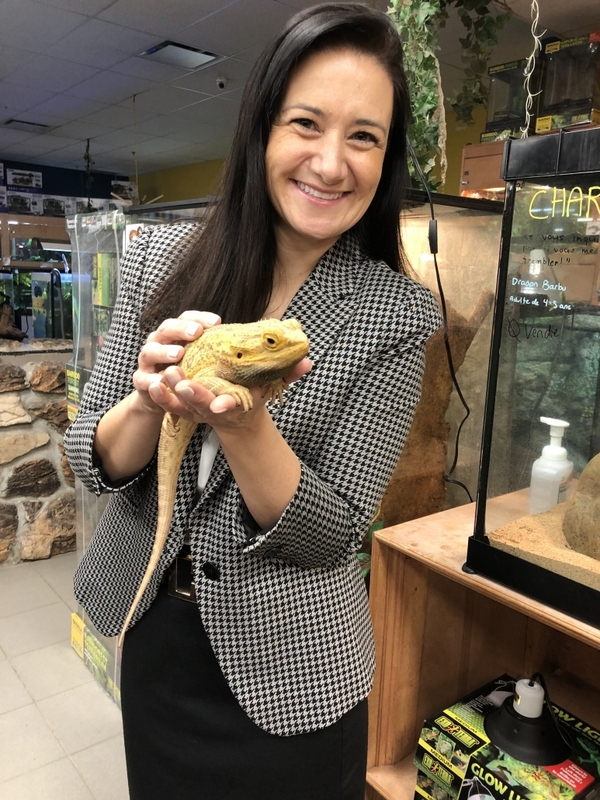 Stéphanie Renaud and Stéphanie Girard had a great time visiting the reptiles and learning about their highly natural habitats at the store. La Grande Ménagerie values their “four E” framework that emphasizes Expertise, Engagement, Emotion, and the Environment. This framework proves the ultimate care and compassion that the Côté family and their staff practices daily. 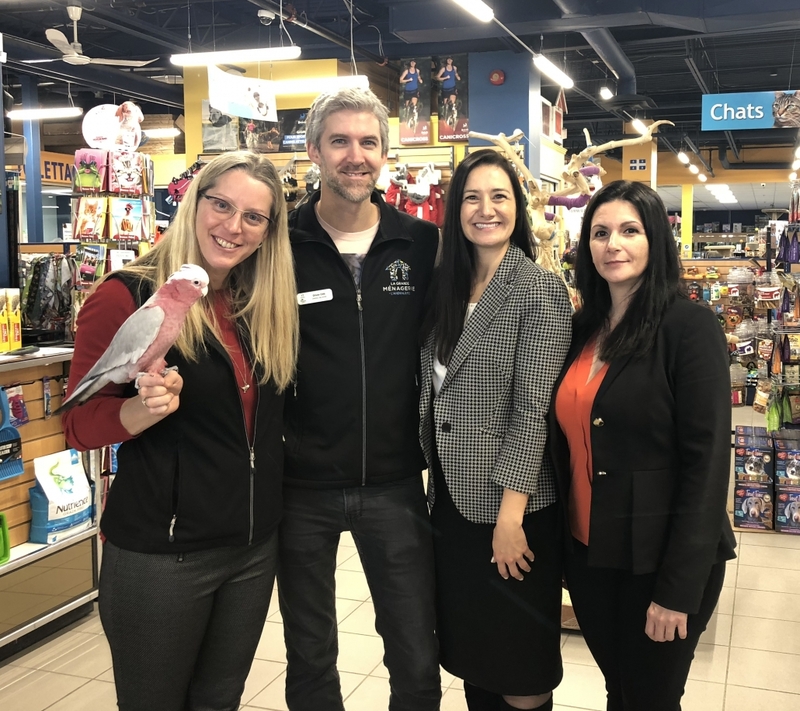 PIJAC Canada is appreciative of La Grande Ménagerie for being a positive example for pet businesses in Canada as they continue to lead by example. Thank you to the Côté family for welcoming us to the store and giving us such a wonderful tour!